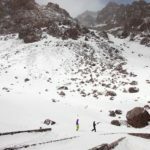 Xavy, a Catalan IFMGA mountain guide, has planned this 6-day ski traverse in Mount Toubkal, the highest peak of the Atlas Mountains, in Morocco. Join him, you won't regret it! 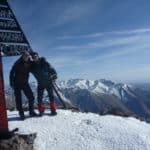 I am happy to invite you to this 6-day ski traverse in Mount Toubkal, the highest peak in Morocco and in all North Africa! 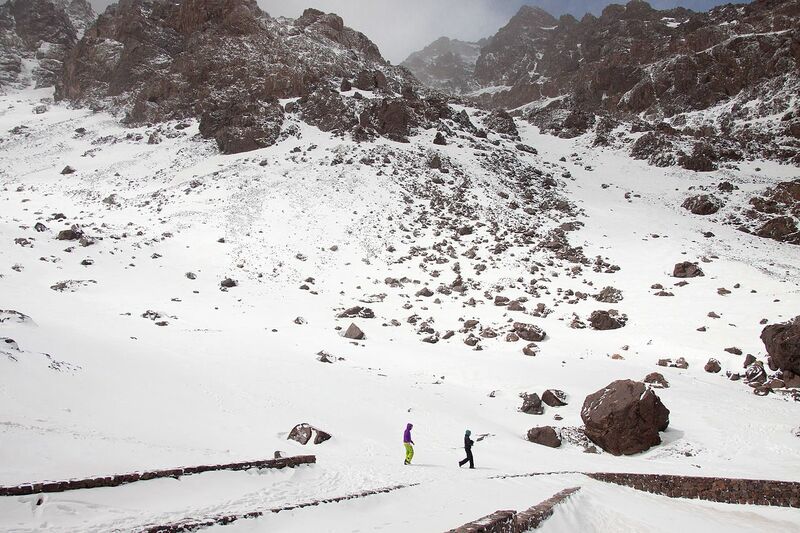 The Atlas mountains, where Mount Toubkal lies, offer one of the most exotic landscapes to go ski touring. It is surrounded by high mountains that together form a massive 80-km-long mountain range. During this skiing traverse we will ski in a new valley each day. We will spend the night in really comfortable mountain huts, where you will learn a lot about the kindness of the local people. This 6-day program has its meeting point in the city of Marrakech. Then, we’ll move to Imlil to start our ski tour up to the first hut. Once we gain enough altitude, at 4100 meters of height, the real adventure begins. 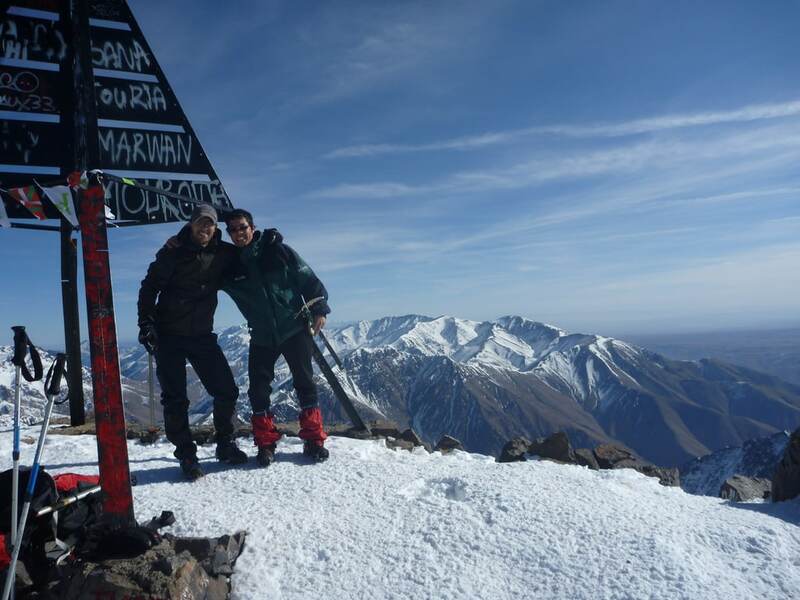 In addition to Mount Toubkal, we can also ascend to other surrounding mountains. 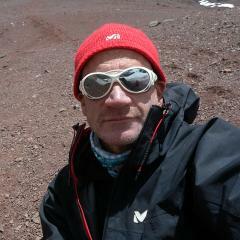 For example, the Akioud at 3900m, the Ras n’Ouanoukrim at 4015 m or the Imeghras at 3900 meters. It will be really exciting! I can lead a maximum of 8 people per group. The minimum per group is 4 people but you can also ask me for a budget if you are 3 or less. 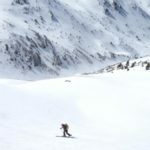 Remember that all participants must have prior ski touring experience as well as some basic technical skills. 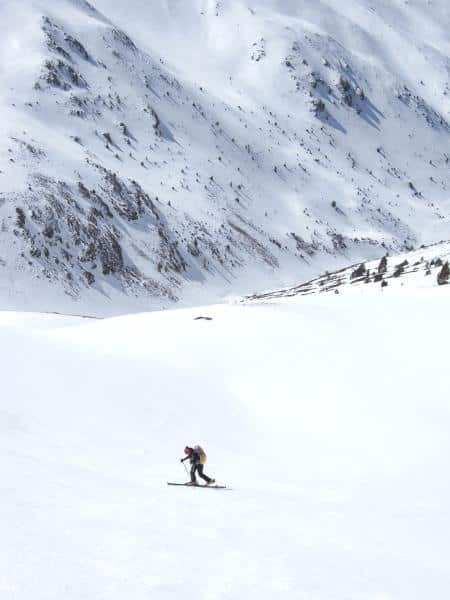 And if you enjoy ski touring, let me share with you some similar programs I am leading in other continents: this ski tour in Kola Peninsula (Russia) or this one, in Carros de Foc (Spain). So, let’s go skiing together next winter! Contact me now for further details or if you want to book your place. I will be here, waiting for your message. You can request for an activity cancellation insurance or more insurance information once you contact me.